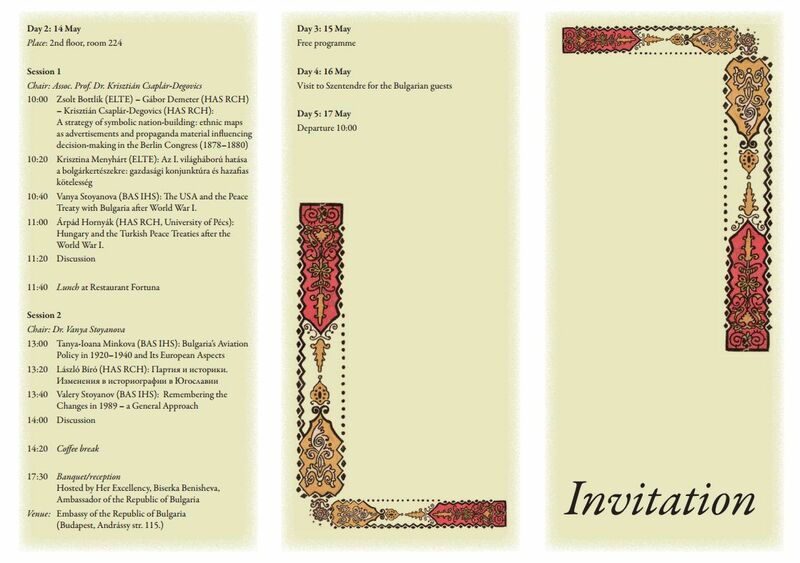 On 29–30 May 2015 an international conference will be held in the Hungarian Academy of Sciences, Research Center for the Humanities, Institute of History, about the tributary states of the Ottoman Empire. Papers will address the contacts of Transylvania, Wallachia, Moldavia, Ragusa, the Crimean Khanate, Cossack Ukraine and Dagestan with the peripheries of the empire: the border provinces, as well as other tributaries. The conference programme is available here. The event is convened with the generous support of the Fritz Thyssen Stiftung. The program of the conference can be read here. Our new Volume: "The Noble Elite in the County of Körös, 1400-1526"
The RCH Institute of History has published a new volume of the serial Monumenta Hungariae Historica entitled "The Noble Elite in the County of Körös, 1400-1526" (Budapest, 2014. [Magyar Történelmi Emlékek - Értekezések.) by Tamás Pálosfalvi, senior research fellow of our institute. The content of the book can be seen here. The Research Centre for the Humanities, Hungarian Academy of Sciences invites you to its third Refo500 workshop entitled Culture of Migration II. : Post-Confessional Era from the Nineteenth to the Twenty-First Century. Location: Institute of Ethnology, Research Centre for the Humanities, Hungarian Academy of Sciences (Budapest 1014 Országház u. 30., Room 8.). Date: 28. 11. 2014. The program can be read here. The first issue of Volume 3 (2014) of The Hungarian Historical Review has been published! This special thematic issue is entitled "The History of Family, Marriage and Divorce in Eastern Europe". The Institute of History of the Research Centre for the Humanities of the Hungarian Academy of Sciences, the BAS Institute for Historical Studies, and the Bulgarian–Hungarian Joint Academic Commission of Historians organized an international conference on Contacts and Conflicts in Central and Southeast Europe: Hungarian and Bulgarian Approaches on May 13–14, 2014, in Budapest.